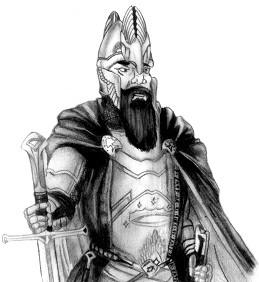 Elendil the Tall - The son of Amandil, and father of Isildur and Anárion. As members of the Faithful, they were saved from the destruction of Númenor. He led the race of Men into battle against Sauron and was killed at the Siege of Barad-dûr.